We are reckoned amongst the most trusted name engaged in offering a superior quality range of Horizontal Wrapping Machine. It's a machine designed for packing bearing, metal band, copper ring and similar materials manufactured in ring with stretch film, wrapping paper. It is completely moisture and dust proof packing and protects the products. It's suitable for heavy products. Our valuable customers can avail this surface grinder from us at nominal price in a given time frame. Product movement Horizontal, through motorized conveyor. Power roller conveyors infeed & outfeed. 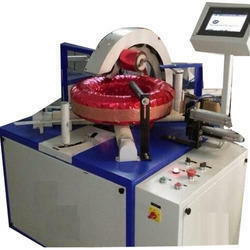 Automatic film cutting & holding System. Wide variety of bunch sizes can be wrapped in the same machine. Motors controlled by AC frequency drive. Suitable for use with LDPE Stretch film rolls. Wrapping speed 70 rpm max. Bought out Components used in the machine are of Branded makes. Bearings used in the machine are of SKF makes. Switch Gear & Automation components are of Siemens/Delta makes. All rotating parts made with proper hardening & grinding process for long life. 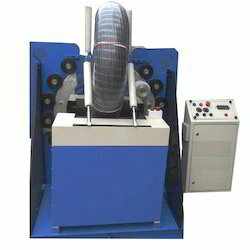 Owing to our expertise in this domain, we are providing our clients with an extreme quality range of Coil Wrapping Machine. This is used to wrap stretch film around a loaded pallet. Wrapper machine is widely used in chemical industry, electronic industry, home appliances and food service. The offered product play an important role for task, these equipments like as a machine which is fitted with complete electrical installation with motor for work head. Our product is controlled by mechanical, electric, hydraulic means which is operated mainly by hand. Moreover, we provide this product in several specifications as per client’s requirements. Packing Material HDPE, Stretch film. Faster heating system with low voltage requirement and better safety performance. 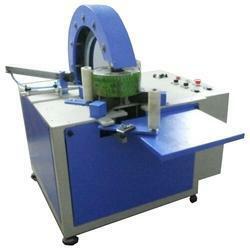 Among our wide range of products, we are introducing a premium quality assortment of Box Wrapping Machine. This is specially designed for packing small and medium sized carton box, the top plate provides a press to the top of unstable goods and ensure it safety packing. The machine is widely suitable for goods with lightweight that can be manually loaded & unloaded from the machine. Output Approx - 30 COILS. 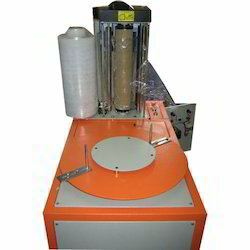 With the help of our experienced professionals, we have been able to offer our respected clients a wide assortment of Hose Pipe Wrapping Machine. It is used for packing the objects like bearing/steel strip/ copper strip/ steel wire/ steel ring/ aluminum strip. The offered panel saw is widely demanded in cement, metallic and certain mechanical industries for cutting, surfacing and numerous operations on the metal sheet. 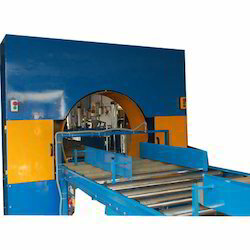 Our hose pipe wrapping machine is compact in design to ensure smoothness in its functionality. Indicator alarms automatically when trouble occurs, and errors will be shown automatically. Looking for Wrapping Machines ?